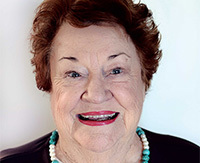 Dr Betty Byrne Henderson AM is a Queensland businesswoman and highly esteemed member of the community who is dedicated to service in the fields of women’s health and business. Betty’s business interests span more than 40 years as owner and governing director of The Byrne Group of Companies, a family-owned Ford dealership at Chermside and Kedron. Since 1995, Betty has pursued her business, community, volunteer and philanthropic interests while simultaneously directing her property and investment companies. Many iconic Queensland institutions have benefited from her philanthropic spirit. 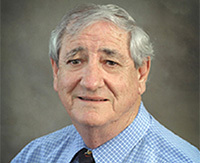 Dr George Chapman AO has made a significant contribution to the Queensland community and is well respected in the business world, as demonstrated by his appointments as chairman of Telecasters North Queensland, Ten Network Holdings, TAB Queensland, Cairns Port Authority, Chapman Group and Skyrail Pty Ltd. He was a substantial founding shareholder in the Tjapukai Aboriginal Cultural Park and founder of the Cairns Regional Development Bureau. He has also held numerous board of trustee positions for organisations such as the Great Barrier Reef Foundation. Graham Jackson OAM is a successful Queensland businessman and known for having one of the best business brains in the country as founder of Loloma Jewellers and former Townsville Enterprise Limited chairman. 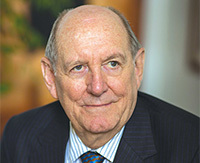 He was appointed director of the Queensland Small Business Development Corporation in 1979 and deputy chairman from 1988 to 1993. During his more than 50 years in Townsville, Graham has been involved in a range of community development work and gives generously to community causes. 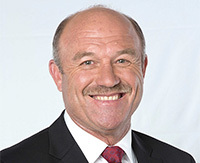 Wally Lewis AM is a former rugby league footballer and coach, and widely regarded as the greatest rugby league player of all time. Wally is best known for his State of Origin performances, spearheading Queensland’s dominance in the competition throughout the 1980s. Nicknamed ‘The King’ and ‘The Emperor of Lang Park’, Wally represented Queensland in 31 State of Origin games and was captain for 30 of these games. Since retiring from the game, Wally has pursued a career as a newsreader and commentator. 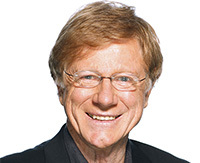 Kerry O’Brien is one of Australia’s most distinguished and respected journalists with numerous Walkley Awards for excellence in journalism, including the Gold Walkley. Kerry was editor, host and interviewer for the ABC’s 7.30 Report for 15 years, following 6 years as host and interviewer for the Lateline program. He has also been a presenter and interviewer for the ABC’s flagship investigative current affairs program, Four Corners. Kerry began his career in Brisbane’s Channel Nine newsroom in 1965 and has an honorary doctorate in Creative Industries from Queensland University of Technology (QUT). SES was established in 1975 by the Queensland Government, evolving from the former Queensland Civil Defence Organisation following the organisation’s response to the 1974 Brisbane floods. With approximately 6800 active SES members in almost 350 groups throughout Queensland, volunteers are involved in a wide range of disaster and emergency-related operations. 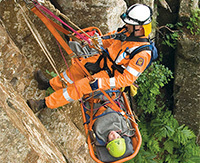 In December 2010 and January 2011, SES volunteers across the state successfully responded to calls for assistance for the widespread flooding across Queensland. Less than a month later, Cyclone Yasi struck in north Queensland and once again SES groups across the state mobilised to assist with the clean-up, highlighting the staggering volume and immeasurable work SES undertakes.